Apple has announced the newest version of the Apple Watch, now with LTE connectivity. Apple had a variety of fresh tech on display at their first-ever presentation made at the new Steve Jobs Theater. 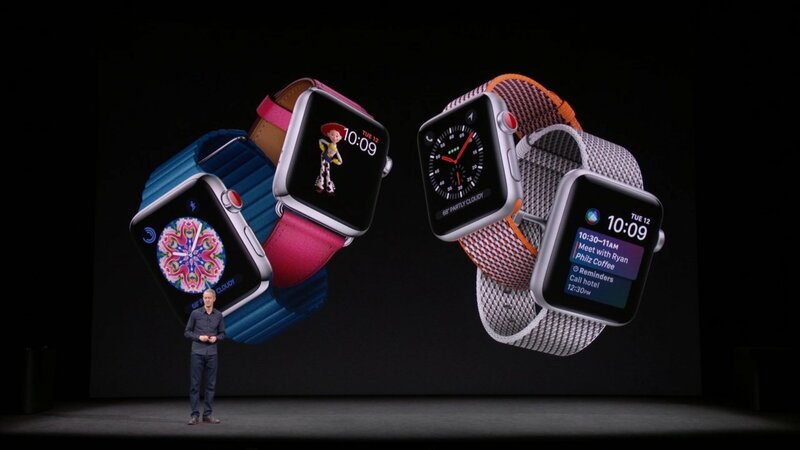 Among their headline reveals was the third generation of the Apple Watch, a device whose primary appeal comes down to the watch's new LTE connectivity. For the first time, Apple Watch users will be able to place calls, send messages, and more without any need to be tethered to an actual phone. This new function was shown off through a demonstration call being placed to an Apple employee rowing down a river. 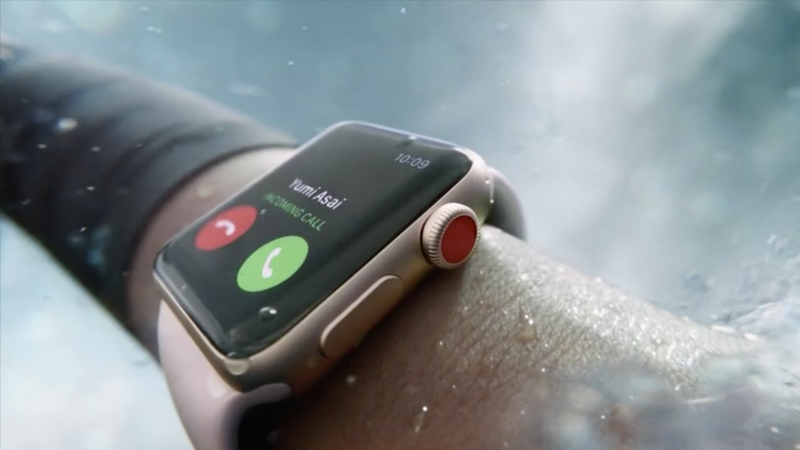 Through wind, as through space and time, the Apple Watch Series 3 was able to place a relatively-clear phone call without any phone in sight and without having to hold to the watch up to the caller's face. Big points, then, for ease of use and clarity of communication. From what can be seen, aside from LTE compatibility, not much about the Apple Watch has changed from the Series 2: users can still browse contacts, scope out the forecast, catch up on notifications, or even check the current time. Like with other models, the Series 3 will also have GPS functionality, and with light LTE coverage, the battery should be able to last a little less than a day, though that number may dwindle significantly when placing calls and using extended functions solely over the LTE network. Apple fans who want the latest Apple Watch can pick up the Series 3 with LTE for $399, with pre-orders opening on September 15 and shipping anticipated to begin on September 22. Users who would like the latest Apple Watch without LTE functionality will be able to pick one up for just $329.